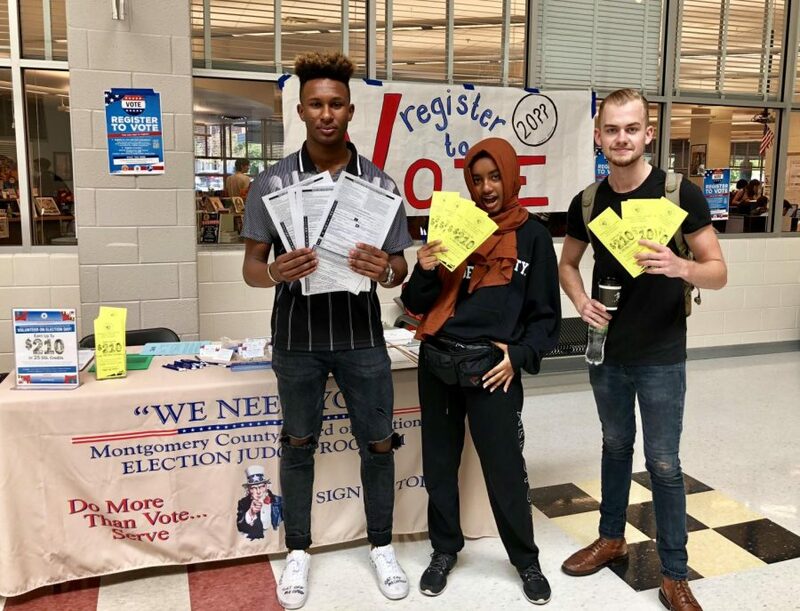 This year, MoCo for Change, the MCR SGA, and the Montgomery County Board of Elections are holding voter registration drives at all Montgomery County high schools in hopes that students will sign up and register to vote. The drive took place at RM from Oct. 1 to Oct. 5 during the school day. In Maryland, teenagers cannot vote until age 18 but may register at age 16 as long as they know their social security number. In addition to the voter registration booths, students can register online at www.vote.org. The site includes other information and services such as checking registration status, ordering absentee ballots, finding poll locations, and receiving election reminders. Other groups such as the Women’s March Power to the Polls and Rock the Vote have also offered online voter registration services. Through social media, meetings, drives, and rallies, these groups are encouraging voting in preparation for the midterm elections, which take place on Nov. 6 this year. The midterms are the driving force behind the push for voter registration. 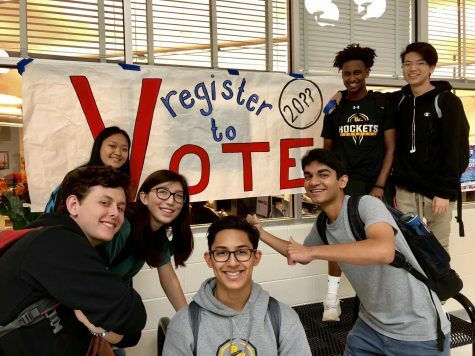 Likewise, junior Tyler Guthrie said, “It all comes down to the numbers.” Both Chitnis and Guthrie, who are leaders of RM’s Gun Control Club, emphasized the importance of registering in preparation for future voting. Students express support for the voter registration drive. Many students believe that registering is one of the most important things 16-year-olds should do. “I think it’s really cool and important that we’re registering this many people to vote, but I think one of the more important ideas is just telling people why it’s so important to vote, and that this is the first step in the grander scheme of things,” sophomore Claire Gelillo, another leader of RM’s Gun Control club, said. This cause is exactly what the voter registration drives are aiming to accomplish come Nov. 6.